Is It a Head Injury or Traumatic Brain Injury? 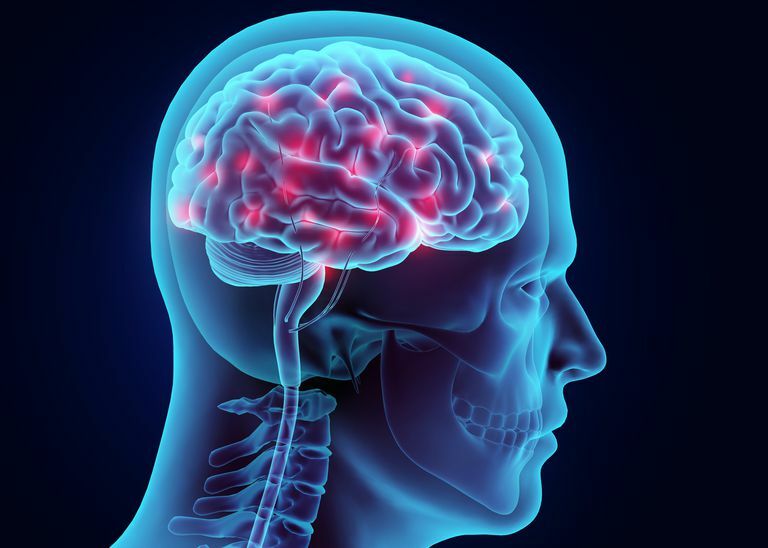 Head injury and traumatic brain injury are both terms that signify particularly serious problems with a patient's brain and his or her ability to recover and lead a normal life over the long term. Traumatic brain injury is more specific to a problem with the brain that leads to some sort of permanent deficit (long term loss of function). In years past, closed head injury was the most common terminology used to describe the motor (muscle movements) and sensory (ability to hear, see, touch, taste, or smell) types of injury. To understand how head injuries differ from traumatic brain injuries requires a basic understanding of the anatomy of the skull and brain. The skull is the case that holds and protects the brain. The skull is a very effective device to protect our brains from damage. It's made of several bones sutured together (meaning that they've grown together, not that someone stitched them together). The skull (also known as the cranium) has a cap over the brain made up of four wide, flat, curved bones called the frontal, right and left parietal, and occipital bones. The base of the skull is made of several bones, including the ethmoid, temporal, part of the frontal, and part of the occipital. The brain sits on top of the base of the skull and the cap of the skull extends over the brain to protect it from injury. Altogether, the brain is completely encased in bone when all of the anatomy is present and uninjured. Building from the outside in, the inside of the skull is lined with a tough membrane called the dura mater (literal latin translation: tough mother). Below the dura mater is the pia mater (little mother) and between the dura mater and the pia mater is the arachnoid layer, a spongy layer so called because it resembles a spiderweb when viewed under a microscope. The three membranes are known as the meninges and they provide both protection and nutrients to the brain. Cerebrospinal fluid flows through the arachnoid layer, bathing the brain in sugar and nutrients. The fluid allows the brain to move and slide without being damaged from small bumps and movements. Blood flows through the meninges as well as the brain. In many cases, bleeding is what causes closed head injuries. All that bone is not too forgiving when it comes to swelling or bleeding inside the skull. The bone holds its shape and doesn't allow for any pressure to be relieved in the event of bleeding. As blood collects inside the skull, the increased pressure constricts the brain, potentially damaging the brain tissue. Besides blood, other fluids can accumulate inside the skull and lead to damage of brain tissue. A damaged brain can swell from other fluid and the resulting pressure can cause additional stress to the brain tissue. It's a self-fulfilling prophecy; swelling causes damage, which causes swelling. As long as the skull is intact, any sort of bleeding or swelling inside the enclosed skull leads to this increased pressure. Since the skull is intact, we call that a closed head injury. In other words, the skull isn't allowing pressure to be released as blood or fluid accumulates because it's "closed" rather than "open" (a break in the skull allowing blood or fluid to escape the skull and reduce pressure). In an open skull fracture, cracks or wholesale sections of missing skull lead to lost fluid or blood in the brain. It's just as detrimental to the brain's function, but a closed head injury is really defined by the increased pressure. Pressure inside the skull comes from multiple causes, but the most common types are from bleeding inside the skull (called intracranial hemorrhage). Subdural and epidural hematomas are examples of bleeding inside the skull (hematoma), either above or below the dura mater. Bleeding above the dura mater (epidural) is from arterial blood supply, which is stronger and more aggressive bleeding than venous. Bleeding from below the dura mater (subdural) is venous, which is slower and takes longer to accumulate inside the skull. Besides subdural and epidural hematomas, there can also be bleeding deeper than the arachnoid layer as well (subarachnoid hemorrhage). It is associated with either trauma or with certain medical conditions like cerebral aneurysm or arteriovenous malformation (AVM), both of which can lead to hemorrhagic stroke. The skull is hard, but not indestructible. It can be bruised or broken, just like any other bone. Fractures or breaks of skull bones can lead to bleeding or leaks of the cerebrospinal fluid (CSF) that bathes the brain and flows through the arachnoid layer of the meninges. Skull fractures are an extreme form of head injury. The worst of these can actually make the head look deformed if the skull has been fractured so badly that it displaces the bone. Most skull fractures are more subtle, showing themselves through signs like blood or CSF leaking from the ears or nose. Fractures of the bones that make up the base of the skull (the bones that the brain rests on when the head is in an upright position) are particularly difficult to identify. In this case, bleeding from the fracture might cause bruises to appear when blood collects behind the ears (Battle's sign) or around the eyes (periorbital ecchymosis). All of these may lead to increased pressure inside the skull (intracranial pressure). CSF, and the blood that is flowing through the surrounding tissues, is supposed to exert very little pressure, if any, on the brain itself. Increased ICP eventually causes damage to the brain. It's that damage that really counts. The brain doesn't have any room to maneuver inside the skull and adapt to increased ICP. In extreme cases, pressure inside the skull can shift the brain toward the biggest opening in the base of the skull, called the foramen magnum (literally translated: big hole). It's through this hole that the spinal cord is attached to the brain. It might be the biggest opening, but we're still talking only two or three centimeters, clearly not enough space for the whole brain to exit. As the brain herniates through the foramen magnum, it is constricted and damage is caused by the direct pressure to the brain matter. All in all, it's not good. Up until this point, the entire discussion has been on injuries to the skull or layers of tissue surrounding the brain, building pressure within the closed system of the skull, either through bleeding or other fluid shifting. Any sort of pressure—either directly or indirectly—on the brain matter can cause injury to it. That's a traumatic brain injury: damage to the actual brain tissue. It alters the function of the brain, sometimes permanently. We can see the altered function through signs like unequal pupils, asymmetrical weakness, confusion, difficulty speaking, loss of consciousness, etc. When we are talking about brain injury, we call these signs deficits. Besides the deficits that make up the signs of a brain injury, the traumatic brain injury (TBI) patient might complain of symptoms. The TBI patient can experience headache, nausea, trouble seeing, or ringing in the ears (tinnitus). Just like there are different types of head injuries and closed head injuries, there are also different types or levels of TBI. Direct injury to the brain (gunshot wound, for example) might cause much more pronounced deficit than something a little more subtle. Indeed, some head injuries lead to brain injuries so slowly that it can be easy to miss the onset of deficit or the patient can misunderstand the significance of the symptoms. Coup-contrecoup (pronounced coo-contra-coo) is a type of injury to the brain that comes from a blow to the head. The patient could have a sudden stop—a fall or a car accident—or could get hit by an object. In either example, the brain doesn't change speed at the same rate as the skull, causing it to smack against the inside of the cranium (coup) and then bounce back and hit the opposite side of the cranium (contrecoup). The most common type of coup-contrecoup is a concussion. A concussion is sometimes referred to as a mild TBI and might not lead to any noticeable permanent deficits. The rattling around of the brain inside the cranium can lead to all of the intracranial bleeding we talked about above, but it also can cause direct damage to the brain, which we see as immediate deficits. Coup-contrecoup injuries are common in boxers, soldiers, and football players: Anything that leads to hard knocks on the noggin. The brain is a remarkable organ. It was thought for years that any damage to the brain was permanent, but we know better now. Concussion, for example, wasn't thought of as being actual brain damage. Doctors now understand that concussions do damage brain tissue and repeated concussions can have permanent effects. On the other hand, massive brain damage caused by extreme head injuries—like an epidural hematoma—can heal and will often, over time, get better. The patient might not ever return to pre-TBI function, but the brain is definitely able to heal itself in amazing ways. Just like a muscle has to be challenged through physical therapy to get stronger, the brain has to be challenged through mental therapy to repair those neural connections.